Careful consideration between the interface of ground floor dwellings and the street has resulted in a series of raised terrace gardens that play a pivotal role between public and private life, engendering the neighbourly spirit of past terrace homes, whilst maintaining passive surveillance and engagement with the street. All areas outside the building footprint have been maximized with garden areas to ensure a lush green outlook from dwellings is maintained. Rambling gardens spill out onto street frontages from secluded courtyard spaces. Planting extends up the façade of the building where vigorous rainforest vines reach skyward on ‘trellis’ structures that make balcony spaces feel more akin to a green ‘backyard’. 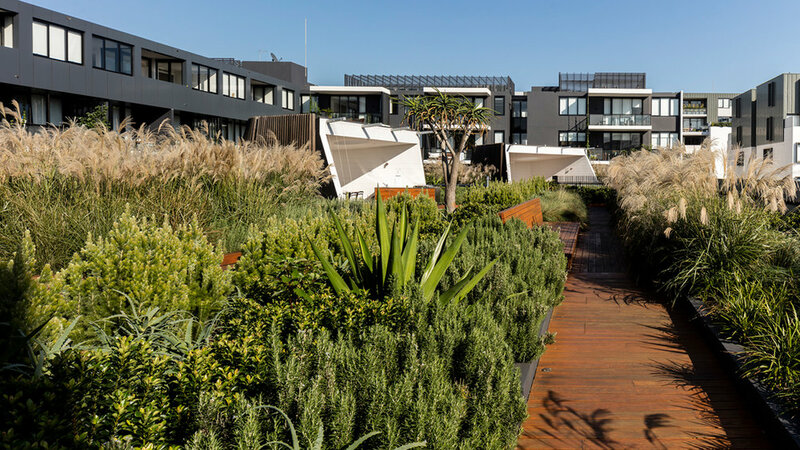 The roof gardens, in turn, offer respite and recreation for residents with a series of spaces created by a sophisticated layering of lush dryland plants. 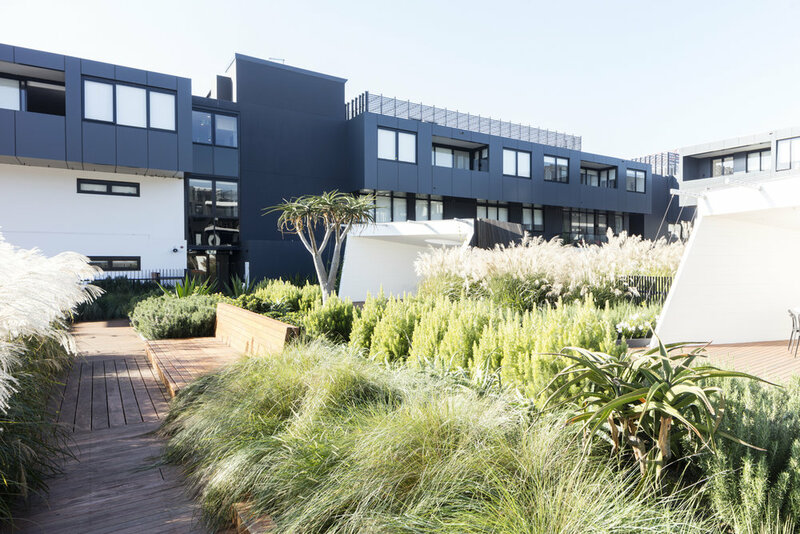 The jury commended the landscape architects for establishing a unique garden typology that promotes engagement and interaction with a diverse mix of species whilst enhancing the well-being of residents in medium density apartment living.